Noah, a Redwood High Student, skipped his senior year, graduating high school in just three years. He knew he wanted to be an engineer and he was aware of many colleges that had great engineering programs, but not many that were great for his specific interest in petroleum engineering. 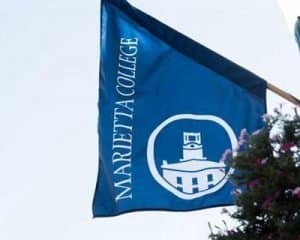 The best engineering school is different for each student, and for Noah, it was Marietta College. As the name suggests, Redwood High School is in Redwood City in Northern California…far from our Los Angeles-area college counseling office. Noah was one of many clients with whom we work remotely. We use apps that your kids are already using, such as Skype or FaceTime, to get our work done. We even do much of our work with local clients online because it’s easier for the parents and cuts down on travel time. This story also brings up another important point: Noah may never have learned on his own that Marietta was going to be the best engineering school for him. But having visited about 300 colleges in person over the last several years, the college counselors at Magellan have first-hand experience with the wide variety of colleges that could be a match for your student. Our visits pay off when we discover perfect colleges for our clients, just like we found the best engineering school for Noah. Are you having a tough time as your child applies to college? Contact us and let’s see how we can help.